Why Finance Your New Classic or Collector Car? Why paying cash may not be the best choice! Most buyers today have no idea what types of financing options are available to them. Every 'cash buyer' can benefit from using financing to purchase a better quality restoration providing them with a car that will be easier to sell, and worth more money. 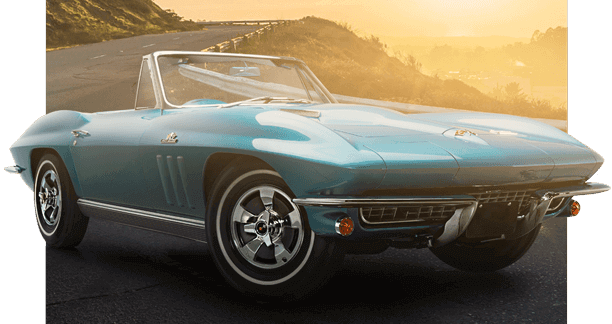 With collector cars appreciating at an average of more than 9% a year, it is easy to see how financing can become a tool to help you purchase a better quality vehicle and earn a higher return on your investment. Buyers enjoy an easy program that has no proof of income requirements, and no prepayment penalties. You can let our money work for you. With rates as low as 6.25% and an average appreciation of 9.00% a year it doesn't always make sense to pay with cash.